A child’s bedroom is where imaginations run wild and dreams come alive. To help make your toddler, child, or teen’s wishes come true, their bedroom should be a stylistic reflection of their personality. If your child is a punk rock princess or a sports enthusiast, the bedroom of their dreams will match their taste or hobbies. 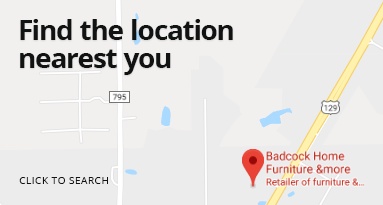 Luckily, Badcock Home Furniture &more has a wide selection of high-quality complete youth bedroom sets that your child will love and your budget will adore. If a complete set isn’t what you are looking for, we also offer individual youth beds, dressers, nightstands &more! Browse our fantastic selection of youth bedrooms online now or visit your local store to find your child’s new bedroom today! 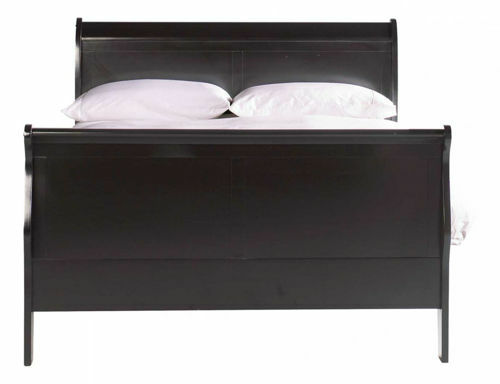 Apply for financing online or in our showroom today and buy the best youth bed for the young person in your life! Be ready for sleepovers and guests when you purchase this rustic and stylish complete full bunk bed with trundle from the Baylee Collection. With a gorgeous dark wooden finish, this piece will fit with any existing décor. 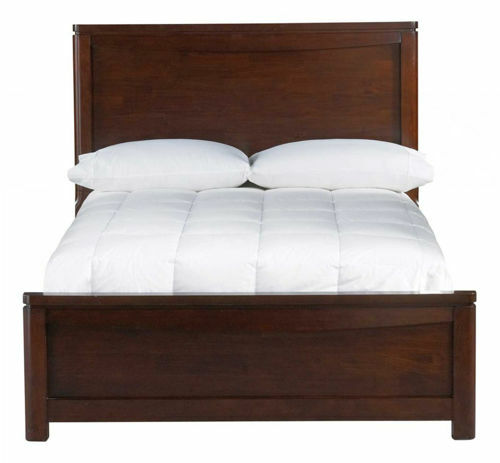 Add this classic, high-quality bed to your child’s room and transform their room into a beautiful retreat. Put the kids to sleep in this rustic and stylish full stairbed from the Baylee Collection. With a gorgeous dark wooden finish and an easy-access top bunk thanks to the stairs, this piece will fit with any existing décor. 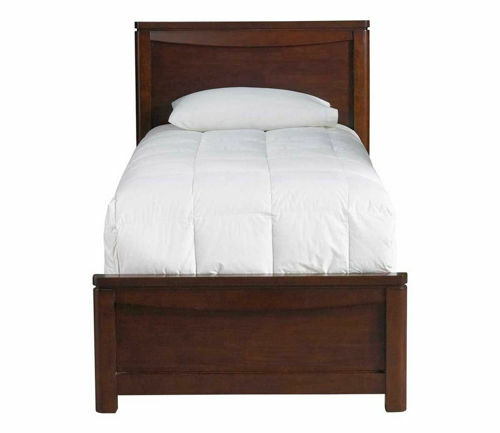 Add this classic, high-quality bed to your child’s room and transform their room into a beautiful retreat. Underbed storage sold separately. Put the kids to sleep in this rustic and stylish twin bunk bed from the Baylee Collection. With a gorgeous dark wooden finish and optional underbed storage, this piece will fit with any existing décor and help you keep their room tidy. Add this classic, high-quality bed to your child’s room and transform their room into a beautiful retreat. Underbed storage option sold separately. 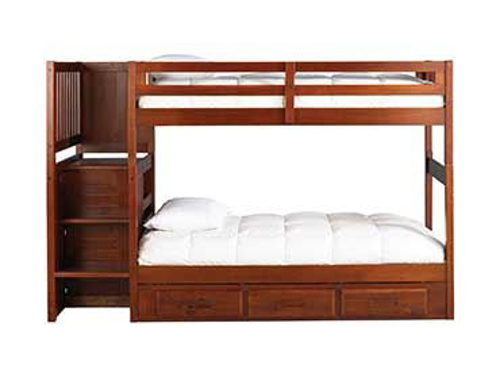 Combine storage and style with this stunning twin bunk bed. With multiple drawers to help your kids keep the room tidy and a warm chestnut wood finish, this piece will make your children’s bedroom a neat and comfortable place for them to call home. Put the kids to sleep in this rustic and stylish twin stairbed from the Baylee Collection. With a gorgeous dark wooden finish and an easy-access top bunk thanks to the stairs, this piece will fit with any existing décor. 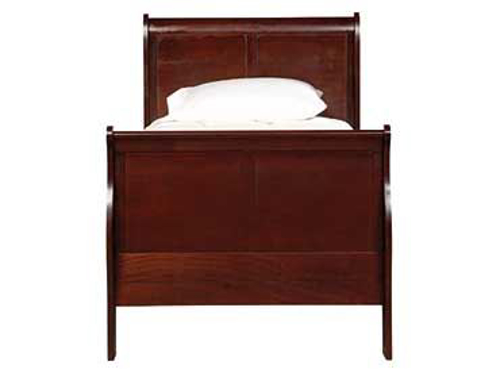 Add this classic, high-quality bed to your child’s room and transform their room into a beautiful retreat. Underbed storage sold separately. Add some extra storage to your child’s room with these spacious and economical storage options. Pair them with one of the bed options from the rest of the Baylee Collection and watch your child’s room turn into the tidiest room in the house. This charming children's twin bed is constructed of Rubber Wood with Birch and Acacia veneers and finished in a gorgeous warm chestnut. Soft corners combine with the streamlined and elegant design of the bed to make for safe, bump free bedtime! Trundle available but sold separately. The pared-down chic aesthetic of this bedroom collection will bring elegance to any décor for years to come. This transitional bedroom is constructed of Okoume wood fronts and select Asian hardwoods and finished in sleek black, giving it the perfect mix of exotic flare and traditional shapes to put a little spice back in your bedroom décor. The dresser features wood on wood drawer guides, French dovetail and bale hardware. This group includes complete twin sleigh bed, dresser and mirror. Other pieces sold separately. The pared-down chic aesthetic of this bedroom collection will bring elegance to any décor for years to come. This transitional bedroom is constructed of Okoume wood fronts and select Asian hardwoods and finished in sleek black, giving it the perfect mix of exotic flare and traditional shapes to put a little spice back in your bedroom décor. The dresser features wood on wood drawer guides, French dovetail and bale hardware. This group includes complete full sleigh bed, dresser and mirror. Other pieces sold separately. The pared-down chic aesthetic of this twin sleigh bed will bring elegance to any décor for years to come. This transitional bed is constructed of Okoume wood fronts and select Asian hardwoods and finished in sleek black, giving it the perfect mix of exotic flare and traditional shapes to put a little spice back in your bedroom décor. Encourage your child’s love of the outdoors while keeping up with the latest trends. You’ll love the classic craftsman style, clean lines and rustic, distressed grey finishes. Round, gunmetal grey handles on the five-drawer dresser and two-drawer nightstand bring masculine style. This group includes the full panel headboard, bed frame, dresser and mirror. Encourage your child’s love of the outdoors while keeping up with the latest trends. You’ll love the classic craftsman style, clean lines and rustic, distressed grey finishes. Round, gunmetal grey handles on the five-drawer dresser and two-drawer nightstand bring masculine style. This group includes the twin panel headboard, bed frame, dresser and mirror. Let your child’s mind race with this dune buggy youth bed, complete with four all-terrain tires and a metallic frame. The bed comes mattress ready. Give yourself the gift of an impressive bedroom when you purchase the Landon Collection matched up with the beautiful Flax II upholstered bed. Made from strong Asian hardwood and poplar with an elegant agathis veneer and antique bronze hardware, this collection combines modern charm with classic appeal and boosts the style of any home. This group comes with the full beige upholstered bed, dresser and mirror. Give yourself the gift of an impressive bedroom when you purchase the Landon Collection matched up with the beautiful Flax II upholstered bed. Made from strong Asian hardwood and poplar with an elegant agathis veneer and antique bronze hardware, this collection combines modern charm with classic appeal and boosts the style of any home. This group comes with the twin beige upholstered bed, dresser and mirror. Solid wood construction with a rich cherry lacquered finish are the hallmarks of the strength and durability, style and function for which this collection is known. The loft bed with twin and full beds provides six large drawers of storage and bookshelf for an optimal use of space in your child’s room. All drawers have European roller guides for ease of use and durability. All beds are mattress ready with complete slat kits and the bunk beds can accommodate up to an 8” thick mattress. This group includes full headboard, dresser & mirror or chest & nightstand. Other pieces sold separately.